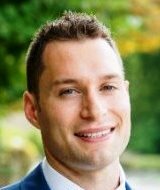 Noah L. Kubissa, PT, DPT, OCS, FAAOMPT, CAMT, Cert. DN, Cert. SMT, SFMA, is a Board Certified Orthopaedic Specialist and is Fellowship-Trained through the American Academy of Orthopedic Manual Physical Therapy. Dr. Kubissa earned his Master’s Degree from Misericordia University and completed his Doctorate in Management of Musculoskeletal Disorders from Evidence in Motion. Noah has worked in a Direct Access setting for both the United States Air Force and in private clinics where he utilizes advanced certifications in Spinal and Extremity Manipulation, Dry Needling, and Selective Functional Movement Assessment to assist clients in reaching their goals and returning quality of life. Dr. Kubissa has published a literature review in Osteopractic Physical Therapy and has contributed to numerous orthopedic journal articles. Dr. Kubissa also works as an adjunct professor for Trinity University of Washington in the School of Health Professions. Dr. Kubissa works at Precision Physical Therapy in Bethesda, MD and resides with his wife Christina and daughter Sadie.